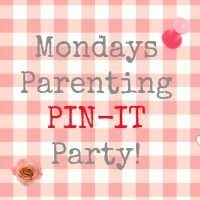 We are back for another Parenting Pin it Party – this time it is being hosted by Love All Blogs. Forgive me, but it is a short one this week, as I am dipping in between glasses of port, wrapping presents, and secret squirrel Santa stuff. It would be amazing if you can grab the hosts’ badge though from her page. I would display it here, but seem to be having an attack of IT-itis. Perhaps it is the port…. Now you have done that, come and join in my dears!